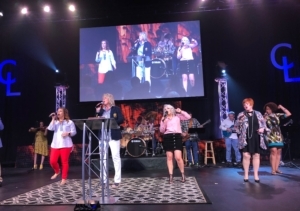 Pastor Cyndi McAfee (worship leader) and praise band lead Covenant Life into worship every week with Passion. The choir and band practice every Wednesday after service. If you would like to be involved in this ministry, please call the church at 865.494.5144.